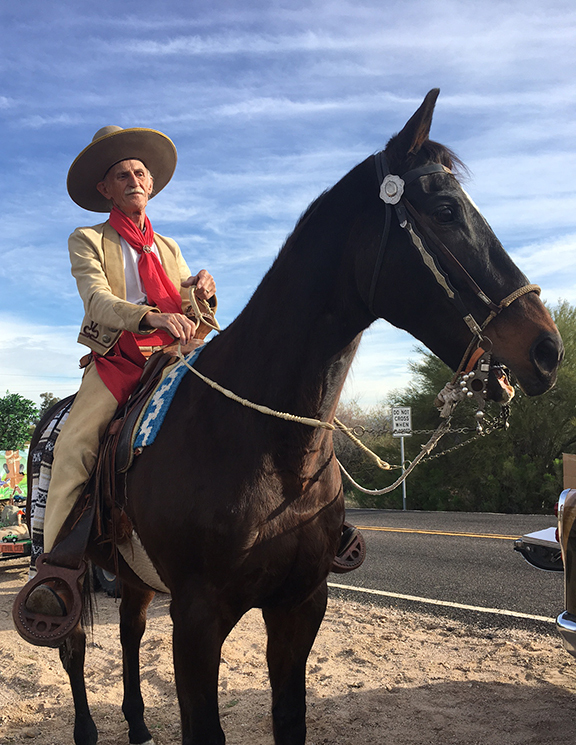 For this year's parade, Lee wore his authentic vaquero gear. Spanish spurs, charro outfit and a tricked out sugarloaf sombrero to die for. He also made the saddle himself. The crowd, especially the kids, go crazy over Concho's Moonwalk. "The American government resembles a burro, but on this burro lawyers will ride."